Depending on the counting convention used, and including all titles, charts, and edited collections, there may be currently over 500 books in Isaac Asimov's bibliography— as well as his individual short stories, individual essays, and criticism. 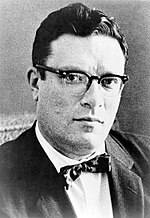 For his 100th, 200th, and 300th books (based on his personal count), Asimov published Opus 100 (1969), Opus 200 (1979), and Opus 300 (1984), celebrating his writing. ↑ Asimov, Isaac. "In Memory Yet Green". "The date of my birth, as I celebrate it, was January 2, 1920. It could not have been later than that. It might, however, have been earlier. Allowing for the uncertainties of the times, of the lack of records, of the Jewish and Julian calendars, it might have been as early as October 4, 1919. There is, however, no way of finding out. My parents were always uncertain and it really doesn't matter. I celebrate January 2, 1920, so let it be." ↑ Seiler, Edward; Hatcher, Richard (2014). "Just how many books did Asimov write?". Isaac Asimov Home Page. http://www.asimovonline.com/asimov_FAQ.html#starters1. Retrieved August 4, 2016. ↑ Asimov, Isaac (1969). Opus 100. Boston: Houghton Mifflin. ↑ Asimov, Isaac (1979). Opus 200. Boston: Houghton Mifflin. ISBN 0-395-27625-X. ↑ Asimov, Isaac (1984). Opus 300. Boston: Houghton Mifflin. ISBN 0-395-36108-7. Pages in category "Isaac Asimov"
This page was last modified on 17 June 2018, at 13:50.